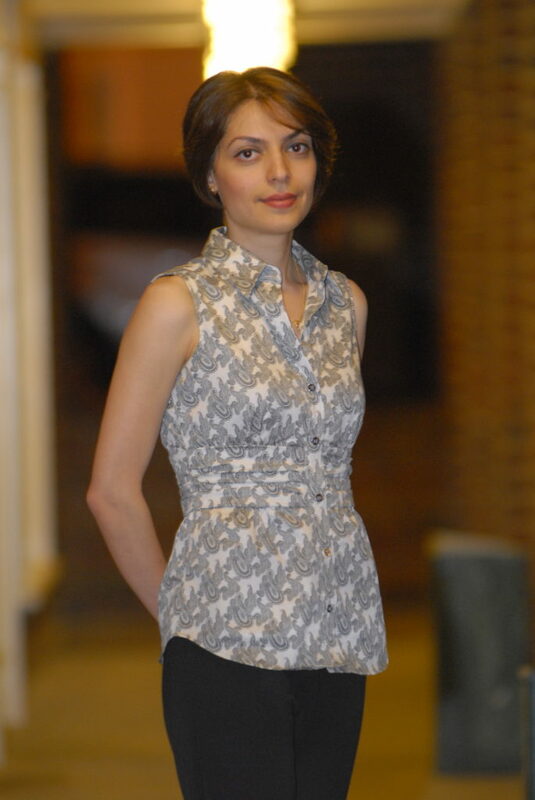 Parisa Sabet is an Iranian composer based in Toronto. Her work covers a broad variety of acoustic and electro-acoustic music. Parisa’s compositions have a unique and lyrical quality that stems out of blending elements of Eastern and Western musical languages. She brings a vast range of color to her compositions by incorporating varied timbral and instrumental effects. Parisa’s repertory consists of pieces written for solo, duo, film music, small, and large ensembles. Above, hear Parisa’s Geyrani, which depicts a deer, first calm, then, sensing danger, running away and escaping. Parisa completed her bachelor of music degree in composition at the Chicago College of Performing Arts of Roosevelt University and her master’s degree in composition at the University of Toronto. She has studied composition with Keith Tedman, Kyong Mee Choi, Ka Nin Chan, and Stacy Garrop. Currently, she is pursuing her DMA in composition at the University of Toronto under the supervision of Christos Hatzis. Parisa is a recipient of several grants and scholarships including the 2016 Irene R. Miller and Anoush Khoshkish Fellowship in Music, the 2015 Ann H Atkinson Prize in Composition, the 2014-2015 Ontario Graduate Scholarship, and the John Weinzweig Graduating Scholarship. She was also a recipient of a 2013-2014 Social Sciences and Humanities Research Council (SSHRC) Canada Graduate Scholarship to research the indigenous music by women in her native Iran and to write an original composition related to this theme. Professionally, her compositions have won various competitions and have been performed in different venues in North America. Parisa’s solo alto flute piece, Nay Nava, won the 2011 Timothy Munro (eighth blackbird’s flutist) Solo Flute Competition in conjunction with the CCPA composition program. In addition, Nawruz for wind ensemble was selected for the 2011 Chicago College of Performing Art’s Wind Ensemble Composition Contest and has been broadcast several times on Chicago’s Classical and Folk Music Radio (98.7 WFMT). Her choral composition, Universal brotherhood, was selected by MacMillan Singers to be performed at their Contemporary Showcase Concert in 2014. Her recent song cycle, Dance in Your Blood, based on three Rumi poems won the Top Prize place at the Violet Archer Composer’s Prize 2014 and will be published in the Plangere Canadian Composers Series.